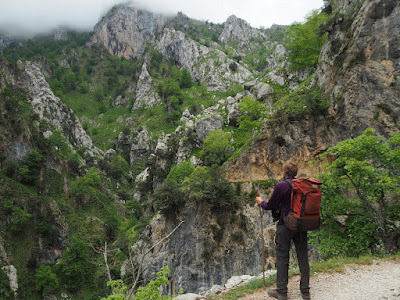 One of my reasons for visiting Los Picos de Europa in northern Spain was to walk the Garganta del Cares (Cares Gorge). 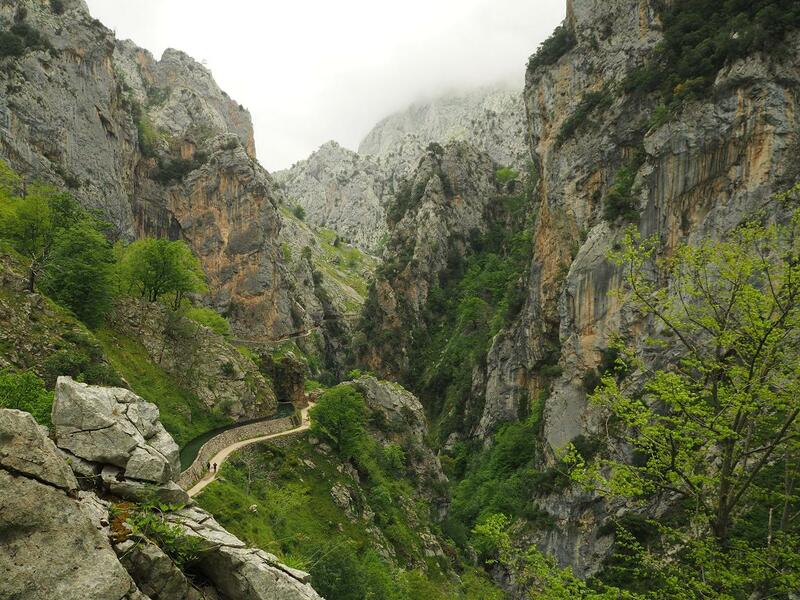 The 11km-long gorge slices the Picos mountains in two and plunges about 1000m from mountain tops to the Rio Cares. In the 1920s a trail was carved into the cliffs to allow workers to access a hydroelectric canal. 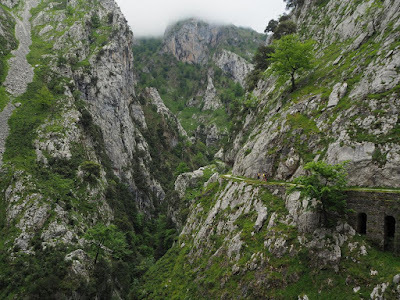 There's no handrail and in places it's a 200m drop straight down to the river. Espectacular!